Janeen Comenote lives in Seattle WA and is an enrolled member of the Quinault Indian Nation. She is Quinault and Oglala on her father’s side and Hesquiaht and Kwakiutl First Nations on her mother’s side. Comenote is the founding Executive Director of the National Urban Indian Family Coalition (NUIFC). The NUIFC is a national coalition representing 38 urban Indian centers in 26 cities and more than two million Native Americans living away from their traditional land base. The NUIFC remains one of only a few national organizations dedicated to “Making the Invisible Visible” and providing a platform and voice for this underrepresented population in America. Janeen is a graduate of Leadership Tomorrow, a regional leadership program, is a 1999 alumni of the prestigious American’s for Indian Opportunity Ambassador program and was chosen and highlighted in O (Oprah) magazine for her participation in Women Rule; 80 Women Who Could Change America. She is a recipient of the Potlatch Fund Fran James Cultural Preservation award and the prestigious Eco Trust Indigenous Leadership award for her work with urban Indians. She has presented urban Indian issues at the White House, United Nations and as a keynote speaker at numerous conferences. Additionally, she has been a Human Rights Commissioner for the City of Seattle and is currently a board member for Praxis and sits on the External Diversity and Inclusion Council for Charter Communications. 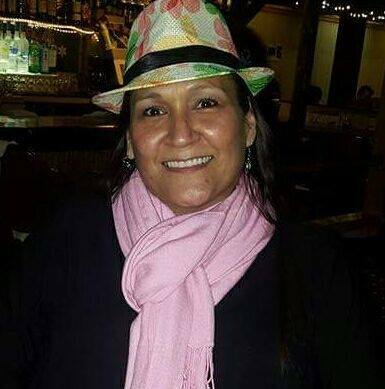 She worked for 16 years at the United Indians of All Tribes Foundation in child welfare, juvenile justice, poverty reduction and as a development officer. Audrey Gray is an enrolled member of the Haida Tribe in Alaska and lives in Seattle, WA. Audrey worked for 23 years at the United Indians of All Tribes Foundation in Seattle WA in the finance department and has 20 years of experience working within the nonprofit finance sector. Prior to that she worked as a Juvenile Justice Liaison at the I.Wa.Sil Youth program. Since 2003 she has worked as the coordinator and now Operations Manager for the National Urban Indian Family Coalition. As the Operations Manager, Audrey is responsible for the day to day finance and coordination oversight for the NUIFC, this includes accounts payable and receivable, travel coordination for a national organization, board of directors travel, meeting logistics and working with the Executive Director on special projects. She is a graduate of Haskell Nations Indian University with a Business Administration degree. Audrey has a true passion to ensure that Native people are financially intelligent and has been a financial literacy instructor for both adults and teens in Seattle, WA and has guided more than a dozen Native families through the complex home buying process. She has worked with homeless youth and families to teach them financial management and is a certified trainer with several financial institutes. She enjoys her culture and is active in the Alaska Native community in Seattle and her home town of Hydaburg, Alaska. Rio Fernandes – Rio lives in Sammamish, Washington and is an enrolled member of the Lower Elwha Klallam Tribe. He is a graduate of Washington State University and always happy to yell “Go Cougs” when the time calls for it. Following his time at Pullman, Rio has been a story teller, working for news organizations, non-profits, political organizations, and government jobs in various communication roles. He views himself as both a communicator and an organizer, with a belief that the only way to fix the major problems we’re facing is to seize control of the narrative and build collations capable of toppling power structures. He was a member of the Knight CUNY-J Fellowship for young journalists of color and has served as a board member for the King County Young Democrats for the past two years.